The Alliance is starting out the year celebrating and welcoming four new members. John L. Cook CPA - This firm provides financial services to individuals, large and small businesses, and organizations. It strives to provide outstanding quality services to its clients with dedication, professionalism, and responsiveness. Each client receives personal and professional attention. The Holt Company designs and executes sophisticated government relations strategies. They engage with stakeholders and help match policy objectives with practical operational needs. Tom Holt is managing partner and a veteran of national and state politics and policy. The Rice Northwest Museum of Rocks & Minerals - The museum, based in Hillsboro, showcases fine rocks, minerals, fossils, meteorites, lapidary art, and gemstones from all around the world. It is also on the National Register of Historic Places for its unique architecture, natural stonework, and native Oregon woodwork found throughout the building. 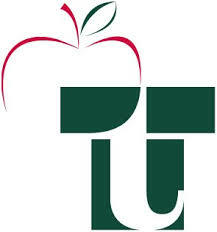 Tigard Tualatin School District 23J - This district serves approximately 12,625 students in Tigard, Tualatin, Durham, and King City, as well as the unincorporated communities of Metzger and Bull Mountain. It has two high schools, three middle schools, and 10 elementary schools. The writer of this newsletter and her colleague are both products of the Tigard Tualatin School District. Go Tigers!